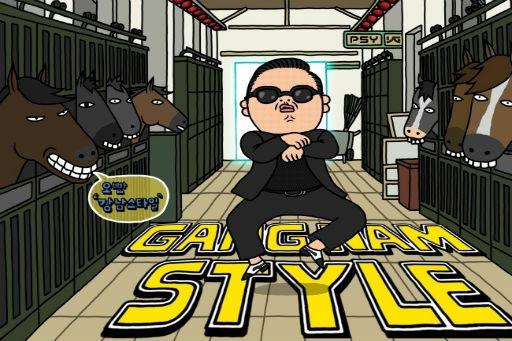 Whether it’s by popular demand or a sign of the apocalypse, Korean sensation PSY will be gracing Australian shores with his eccentric presence as part of a promotional visit. Spreading the gospel of Gangnam Style down under he will be arriving on October 15, with performances on the TV shows X Factor and Sunrise. The ‘infectious’ song is currently a #1 hit in 33 countries, including on the ARIA singles chart. So far the music video has been watched 342 million times on YouTube. Real name Jai-Sang Park, the Korean native has not only grabbed the attention of the public but has also received praise from music stars such as T-Pain, Justin Bieber and Katy Perry as well as major media outlets like CNN, the LA Times and the Huffington Post. Despite his seeming overnight success PSY has been in the music industry in Korea for 10 years, releasing two albums and garnering controversy for his social and political commentary. Go figure.